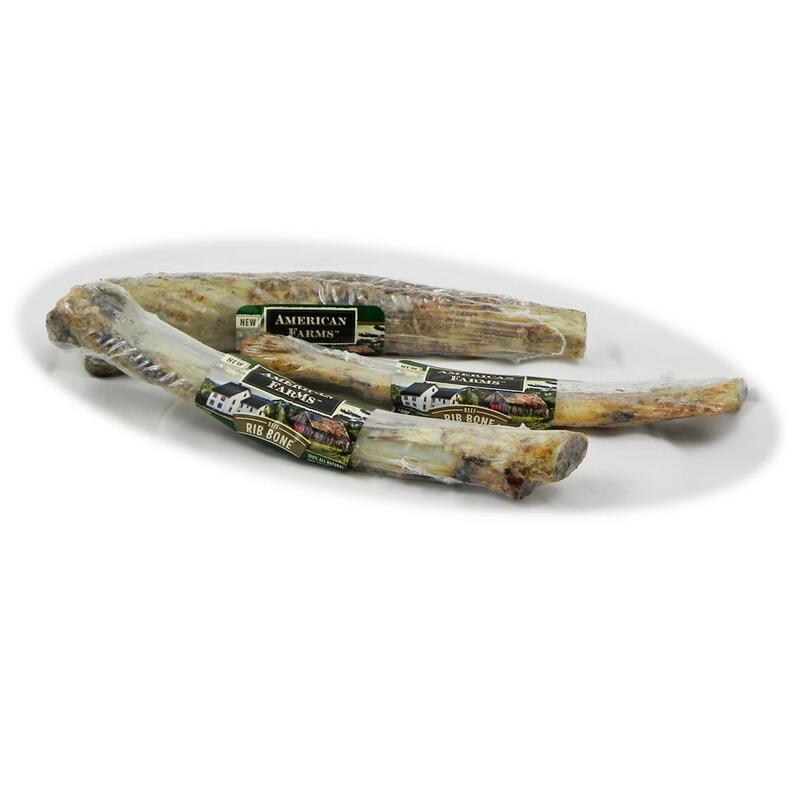 American Farms smoked bones are an excellent treat your dog is sure to love. Each rib is smoked with a small amount of fat and connective tissue still on the bone, making them irresistible to your dog. In addition to tasting great, natural bones are a great way to help keep your dog's teeth and gums healthy. As this is a natural product, size and shape will vary slightly. Average size for the Rib Bone is between 8 and 12-inches long. Price is for 3 bones.